Standard box M-L. Depending on the regulation of the seatpost. 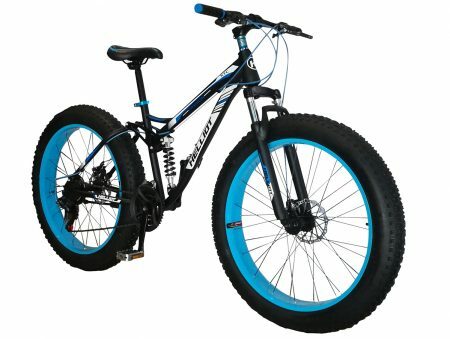 Do not think about it anymore and get a high-quality fatbike with an unbeatable price-performance ratio. 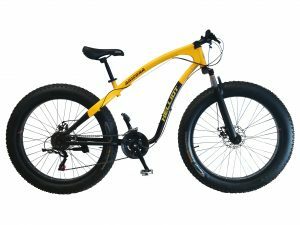 Your outings by mountain, dunes, snow or road will reach another level thanks to this mountain bike made especially for you. If you want to be the leader of your squad and also leave them with their mouths open, this is your bike. The Fatbikes have become the trend of this 2018, this is due to the high versatility they offer us, their traction, double suspension or the security they offer, among many other points. 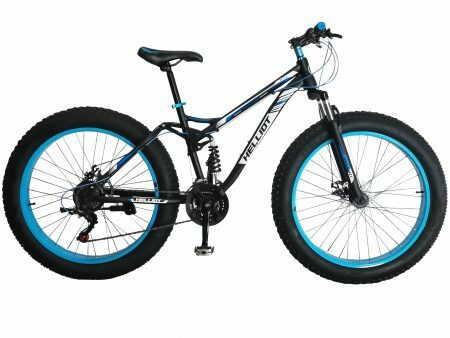 If you are one of those who want everything at a minimum price, get a fatbike and start enjoying what they offer you. 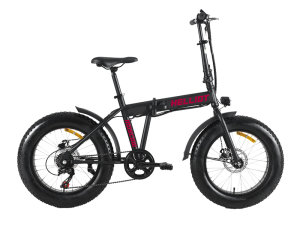 You can also get this bike in green in our store, and that is that in Helliot Bikes we think of all the tastes of our customers. 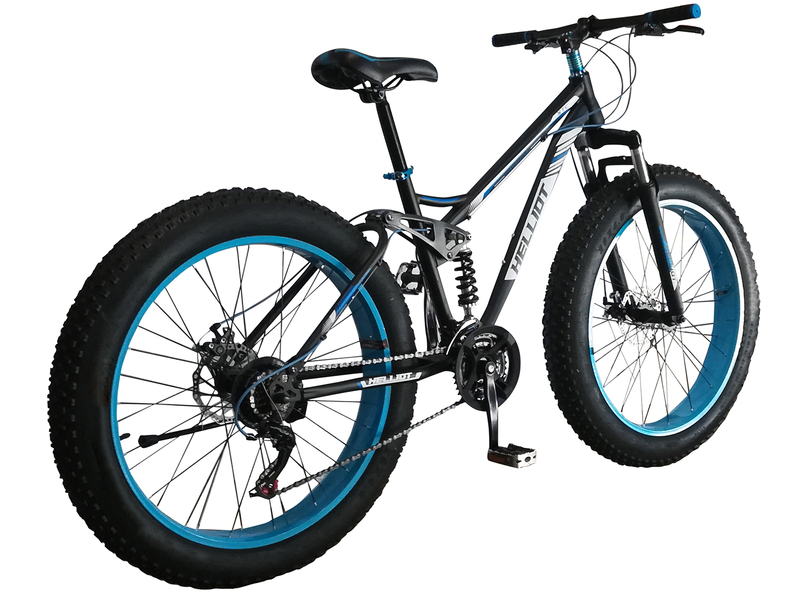 If you want to have a high performance bike, with an exclusive design and a low price, get any of our fatbikes and you will notice the difference. In addition, you will rediscover what it means to have fun on two wheels. Do not forget to visit our facebook page and become a fan to stay up to date with promotions, coupons, news, events, new models … and many other things. £ 387,57 £ 301,25 Sale! £ 776,01 £ 732,85 Sale!